I’m trying something new! 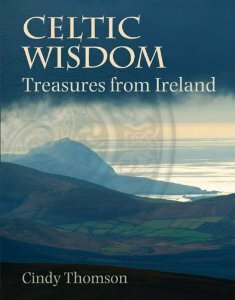 Since Celtic Wisdom is out of print, I thought I’d try recording an audio version. Uh, not as simple as it sounds! There are Irish words in there, and the book was published in UK English, so some things are not the way I would usually say them. For instance, sometimes their verb-subject agreement is different. So I’m posting the mp3 here of the first chapter. If you like it, let me know: would you be willing to pay say, 99cents, for additional chapters? It takes me hours to record one part, so I need to know if this something readers would like before I press on. This entry was posted in Ancient Ireland, Books, Celtic Wisdom and tagged Ancient Ireland, Celtic Christianity, Celtic Wisdom, St. Patrick on August 11, 2015 by cthomson. This is a more momentous decision than you realize. I have discovered that literature affects me differently when I listen to it professionally narrated versus reading the text myself. In an all-out attempt to win the battle for my mind, I have started taking late-night walks (in the winter) and bicycle rides (in the on-season). These excursions take me into streets and paved pathways that are mostly silent by the time I walk or peddle along them. Armed with my iPhone 6 Plus and a pair of Sennheiser Bluetooth headphones, I immerse myself in quality literature, lectures and music authored by contemplative Christian writers and recording artists. I can’t prove it to you, but I think that these late-night sessions just might be the dealbreaker in my spiritual formation. I would love love love to listen to an audiobook of your writings, Cindy, especially if you narrate them yourself! Let me know when your ‘project’ is completed; I will be the first one to plunk down my greenbacks to purchase it.